The private tour starts from port of Sorrento, Naples. You will be welcome by our driver in a modern 8-seater Mercedes Van with all safety equipment and comfort. 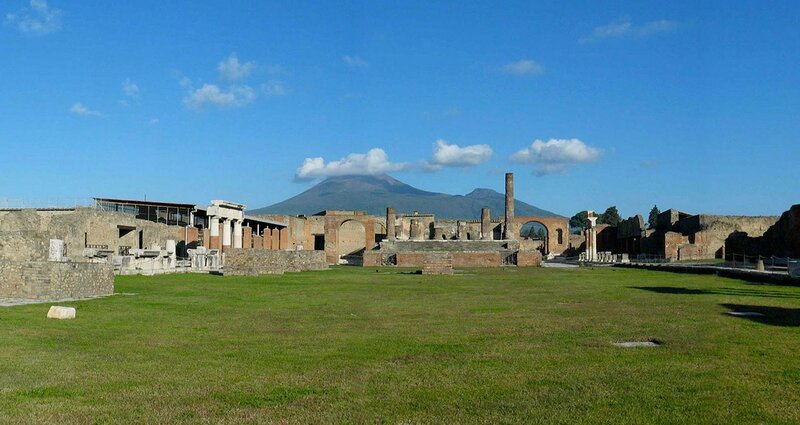 Pompeii, one of the world’s most important archaeological sites, will be the first stop. Situated at the foot of the Mount Vesuvius, very popular summer resort with the ancient Romans and completely destroyed and yet well preserved by the eruption of Vesuvius in 79 a.D. The excavations on a large scale started in the 18th century revealing the sumptuous Roman city. Today tourists can admire the remains of the temples, baths, theatres, the streets, the basilicas, fountains, villas and dwellings richly decorated with fresco paintings and mosaics. 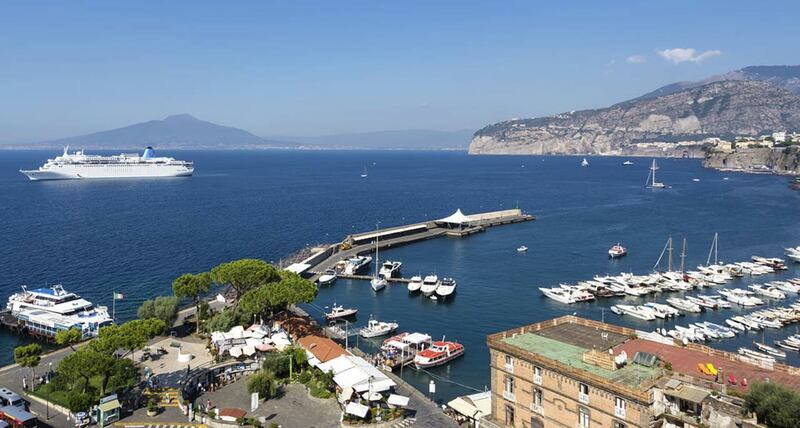 Our tour continues along the coastal road that affords fine views of the hillsides covered with olive groves, orange and lemon trees and vines, to Sorrento perched on the top of the volcanic cliff overlooking the bay of the same name. Free time to stroll through the narrow streets of the old quarter, to browse through ethnic shops in a search for a unique souvenir or just to relax in one of many cafes sipping a cup of coffee or enjoying delicious ice-cream. 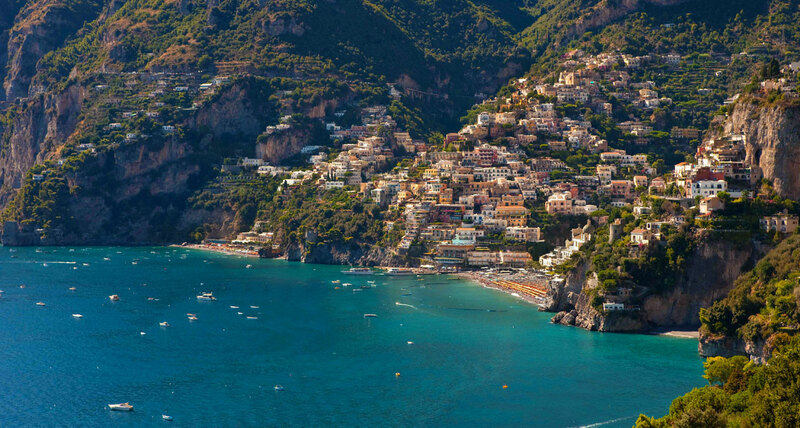 Amalfi road that follows the Italy’s finest coastline will take you to Positano, a real gem of the Amalfi coast, suspended on rock above a bay that is more nearly a large cove and has for years been a haunt of artists and writers. Enjoy walking along narrow streets lined with traditional shops selling pottery, hand made garments, lace etc. How about lunch in a restaurant on the slopes of the Mount Pertuso, offering breathtaking view of Positano. Sample some traditional home made dishes and round up with a glass of delicious limoncello! > Picture stop at “Madonna” for the best view of Positano. To avoid heavy traffic and to return to the port in time (during the high season) we suggest to visit Pompeii at the end ot the tour.